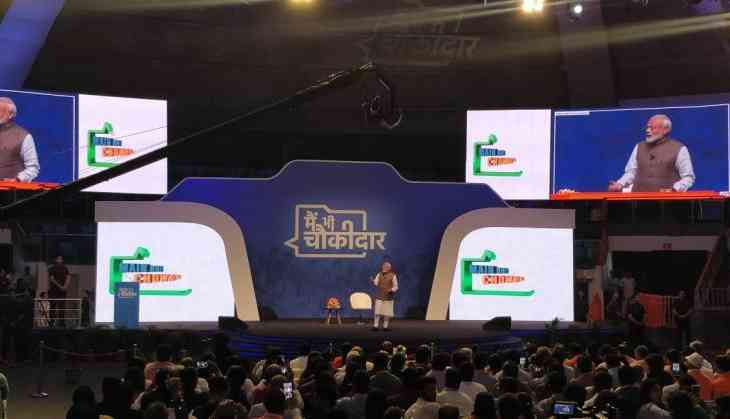 Speaking at the ‘Main bhi Chowkidar’ event organised by the BJP, which was telecasted live at 500 different places across the country, herein PM Narendra Modi was addressing the Chowkidars of the nation and he said, ‘Pakistan has now opened its airspace, thinking that Modi is busy in elections,’ but he added that decisions affecting the national security is much above than petty political gains. “We have spent a lot of time doing ‘India-Pakistan’. Pakistan will die its own death, leave that and lets move ahead,” PM Modi said. While taking a dig at the Rahul Gandhi’s NYAY scheme of income guarantee plan, Modi brought in first PM Jawaharlal Nehru and said that it has been a tradition of the Nehru-Gandhi family to raise the slogan of poverty. General Election is schedule to begin from April 11 and the result will be declared on May 23.